“I wish we had known we wanted to move here 5 years ago,” my new neighbor Karen said rather wistfully a few days ago. “But we didn’t know! She was speaking about one of the most remote places in the middle of nowhere: the town of Dubois in the upper Wind River Valley of Wyoming. Like so many who have chosen to retire here, Karen and her husband came once on vacation, returned and returned again, and gradually fell in love. Others have fallen in love right away. When my husband suggested actually moving to Dubois rather than just visiting, the idea seemed crazy and impossible. 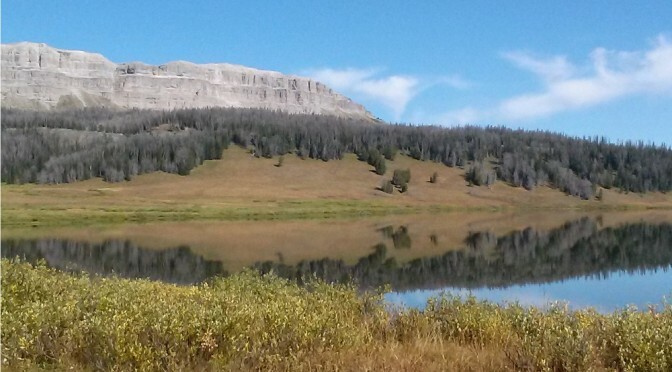 Leave New York City for the wilds of Wyoming? But it’s only wild in a wonderful and different way, and 8 years on I’m deeply grateful that we moved here. How is Dubois remote? It’s more than an hour’s drive to the nearest big towns (Jackson, Lander, and Riverton), and 3 hours to the nearest Interstate. Most of the surrounding terrain is public land, much of it officially wilderness, owned by the US Forest Service, the US Bureau of Land Management, or the state of Wyoming. By one standard, a survey from the US Geological Survey, is only about 40 miles away as the crow flies from the most remote spot in the lower 48 states, in the southeast corner of Yellowstone Park. The variety and beauty of the landscape: Situated near the Continental Divide, we live about an hour’s drive from the south entrance to Yellowstone Park, on the ecological dividing line between high Alpine forest and red rock badlands. We are surrounded by two major ranges of the Rocky Mountains, the Absarokas and the Wind River Mountains. This may be the only place on earth where you can see all three mountain-building processes (tectonic, volcanic, and sedimentary erosion) from one location. The nature of the community: A combination of the traditional independence of the American West and the vitality of its newcomers, Dubois’ community is deeply self-reliant and also welcoming. Generally, people here don’t care what you used to do or the size of your bank balance; they care how you relate to your neighbors. We mind our own business but respond quickly if someone is in trouble. What’s more, the proceeds from almost any event in town (and we’re ferociously busy in the summer!) go to local charities. The activities: We may live in the middle of nowhere, but we have plenty to do. Artists, photographers, and musicians gravitate here, so weekends are busy with jam sessions or performances by musicians, art or photography shows, speakers about history or archaeology at the local museum, an eye-popping quilt show, or pack-horse or chariot races. You might join the tourists at the weekly square dance or rodeo. It’s often difficult to set aside time for what you might really want to do instead: fish, hike, golf, or get away in your camper. The climate: The Shoshone natives settled here centuries ago partly because of the mild climate. We call it the “valley of the warm winds,” sheltered from wintry blasts by the Tetons over near Jackson and our hovering wedge of local mountains. 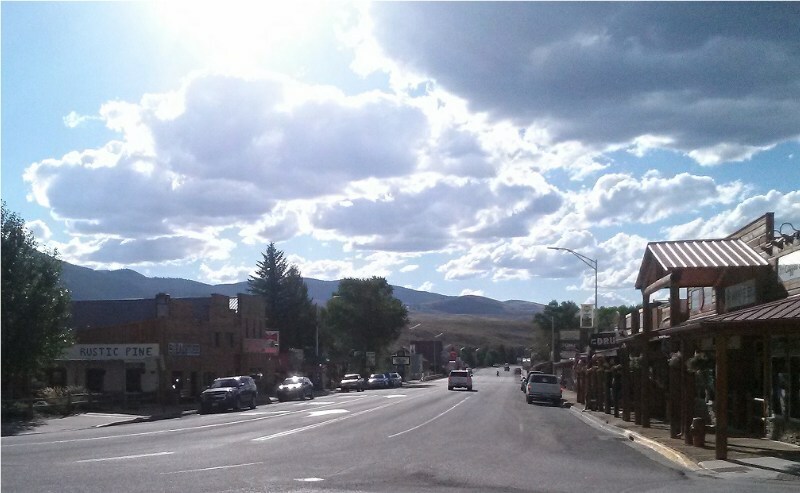 Summers in Dubois are cooler and more pleasant than elsewhere in Wyoming (or almost anywhere). We often find the winters more temperate and tolerable than back in New York City. It may snow sideways for four days, but then it all blows away. The economics: Real estate prices are modest. We traded a small 3-bedroom second home in Connecticut for a very large 4-bedroom log lodge with a cathedral ceiling. We don’t find prices of necessities any higher than anywhere else. There’s no Macy’s or Nordstrom’s, but we do have a Family Dollar. The downsides: Dubois has only a part-time doctor, a full-time nurse practitioner, and a dentist. It takes over an hour to drive to a specialist or a hospital (but that could take just as long in New York City). Shopping is limited (but now, of course, there’s the Internet and FedEx). US mail generally takes a day longer than in a large city. The produce in the supermarket in winter is often disappointing, and you may have to wait for your next trip to Jackson if your recipe calls for chipotle-flavored mayonnaise or dried seaweed. About this time of year, my husband and I begin to discuss exactly when we should head back east to spend the holidays with the rest of the family. I anticipate my return to New York City with pleasure, because it’s a chance to relax in a place where nothing ever happens (that I can’t miss) and where I hardly know anybody (after four decades). Before long, I’m dying to get back home to Dubois.